The chef and catering company will be pumping out 35 different small plates throughout the night. When you’re feeding the biggest stars of US television, plain old spuds are topped with truffles, tomato soup made with the heirloom variety, and desserts made vegan with coconut milk and chia seeds. 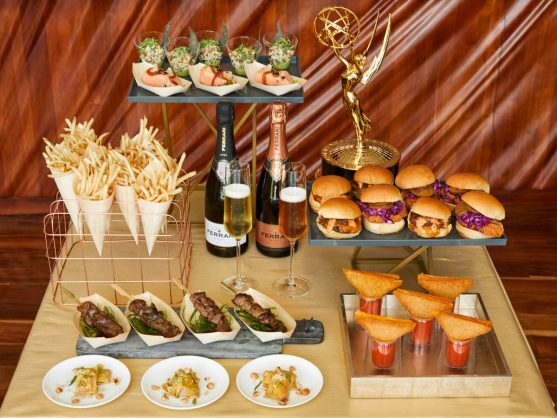 For the 70th annual Emmy Awards, which takes place Monday, September 17, organisers are shaking things up, doing away with the traditional sit-down dinner and moving the after-party celebrations to the rooftop of the LA Live Event Deck. 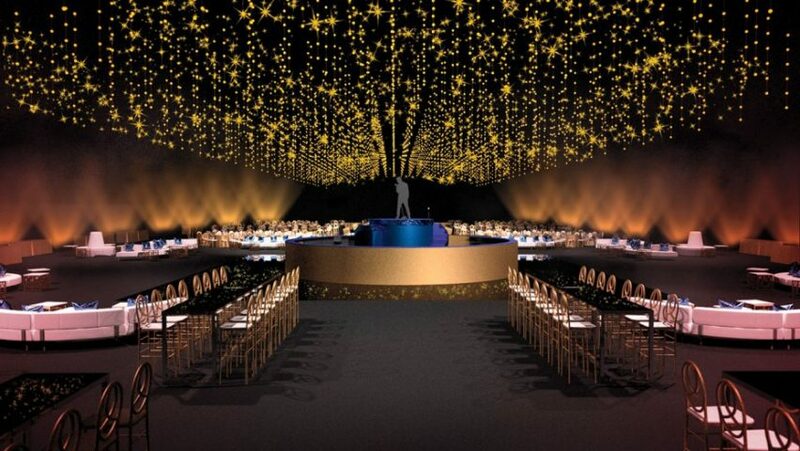 Themed “Emmys Under the Stars,” the open-air parties — which include the Governors Ball and the Creative Arts Governors Ball — are being reorganised to allow guests to mix and mingle; give congratulatory air kisses to the winners of the night, and hobnob with fellow actors and network producers. Catering the parties is chef Joachim Splichal and Patina Catering, who will be pumping out 35 different small plates throughout the night, including potatoes topped with shaved truffles; brown butter potato gnocchi; Nashville hot fried chicken sliders; Filipino BBQ chicken skewers; and heirloom tomato soup. For the many vegan, vegetarian and gluten-free stars and starlets, the menu will also feature cashew “ceviche,” truffle-scented fries, and salad made with locally-sourced corn, beets, heirloom tomatoes and peaches. And for dessert, vegans will be served coconut chia seed tapioca. Stars will also sip on local California wines from Sterling Vineyards and clink champagne glasses filled with an award-winning Italian sparkling wine from Ferrari Trento. The 70th annual Emmy Awards airs Monday, September 17 from the Microsoft Theater in Los Angeles.